Harold Bailey was born in Wolstanton in 1898 to Charles Frederick and Sarah Alethea Bailey. Charles was born in Burslem and Sarah in Tunstall. He had two brothers and a sister. Harold was was christened in Wolstanton, presumably at St. Margaret’s Church, on 19th July 1898. The family lived at 5 Heaton Terrace, Porthill in 1901 (according to the Census) and 109 Watlands View, Porthill in 1911 (according to the 1911 Census). Very little else is known about his civilian life and / or military career. 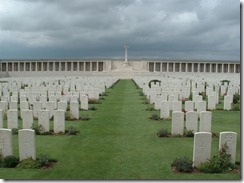 He enlisted in the army in Hanley in the North Staffordshire Regiment as Private Harold Bailey 36883. At some point he was transferred to the King’s Own Yorkshire Light Infantry, 9th Battalion as number 36622. 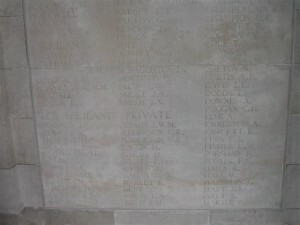 He died of his wounds on 25th March 1918 1. He was aged 19 years. He has no known grave and is commemorated on the Pozieres Memorial, France, on the Wolstanton Methodist Church Memorial and on our Memorial. 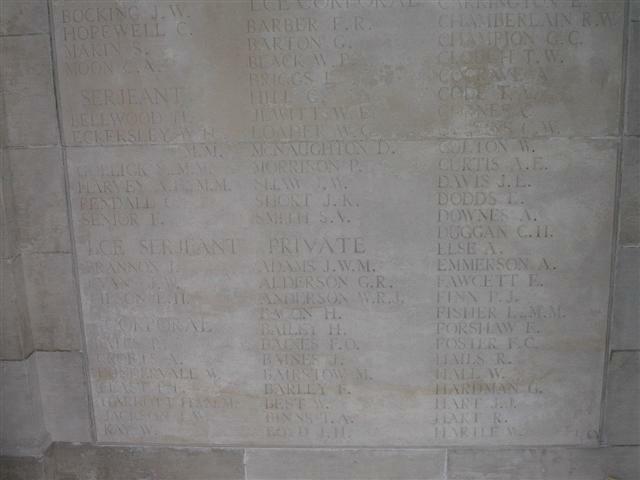 Harold Bailey killed in action with the KOYLI eldest son of the late Charles Frederick Bailey of Porthill and Tunstall, aged 19. It would appear both his parents (Sarah in 1915) had died before he was killed.